Award-winning actor and philanthropist Gary Sinise has stood as an advocate for America’s veterans and active service members for more than thirty years. His commitment began in the early 1980s with his support of Vietnam veterans groups and the creation of Vets Night, a program offering free dinners and performances to veterans at the Steppenwolf Theatre in Chicago. In the 1990s, Mr. Sinise worked on behalf of the Disabled American Veterans, which he continues to actively support. Since the attacks of September 11th, 2001, his dedication to our nation’s active duty defenders, veterans and first responders has become a tireless crusade of support, service and gratitude to all those who protect our freedom and serve our country. Mr. Sinise’s portrayal of Lt. Dan Taylor in the 1994 landmark film Forrest Gump created his enduring connection with servicemen and women throughout the military community. After several USO handshake tours in 2003, Mr. Sinise formed the “Lt. Dan Band” and began entertaining troops serving at home and abroad. The band now performs close to 30 shows a year for military bases, charities and fundraisers supporting wounded heroes, Gold Star families, veterans and troops around the world. 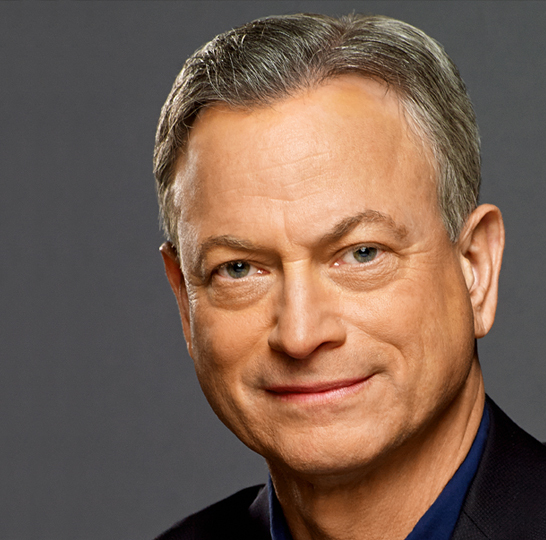 Mr. Sinise has earned many distinguished awards for his efforts in service of the nation, including the Bob Hope Award for Excellence in Entertainment from the Medal of Honor Society; the Spirit of the USO Award; the Ellis Island Medal of Honor; the Doughboy Award; and the Dwight D. Eisenhower Award from the National Defense Industrial Association. In 2008, he received the Presidential Citizens Medal, the second-highest civilian honor awarded to citizens for exemplary deeds performed in service of the nation. In 2012, Mr. Sinise was presented with the Spirit of Hope Award by the Department of Defense and was named an honorary Chief Petty Officer by the United States Navy. In 2013, he was pinned as an honorary Marine by General James Amos, commandant of the United States Marine Corps. In 2015, Mr. Sinise received the prestigious Sylvanus Thayer Award from the West Point Association of Graduates, an honor bestowed upon a civilian whose character, service, and achievements reflect the ideals prized by the U.S Military Academy. In 2011, to expand upon his individual efforts, Mr. Sinise established the Gary Sinise Foundation to serve and honor our nation’s defenders, veterans, first responders, their families and those in need. The Foundation’s mission is to ensure the sacrifices of America’s defenders and their families are never forgotten.